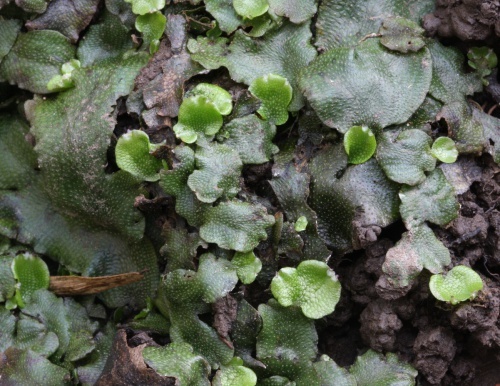 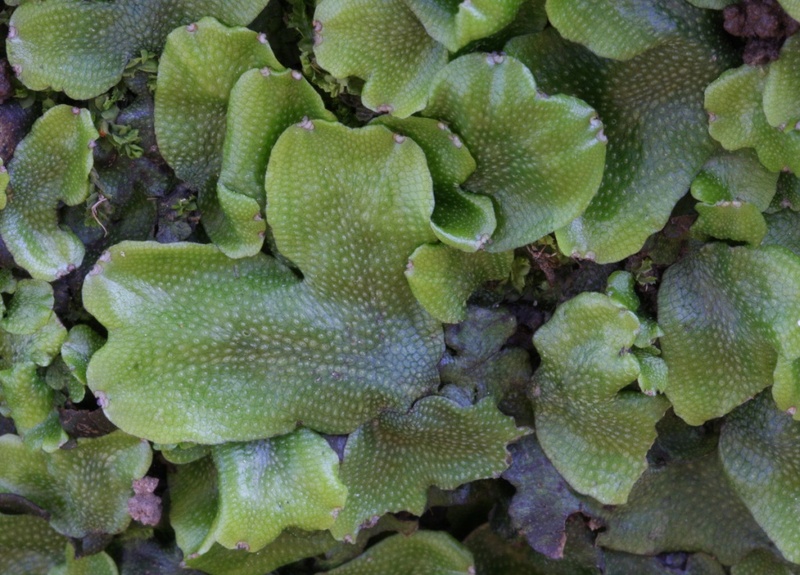 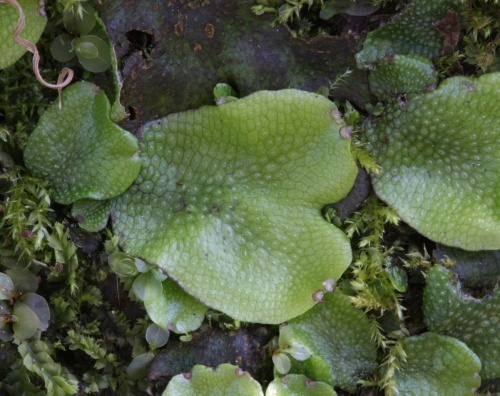 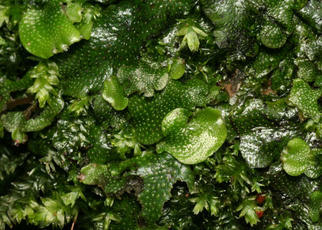 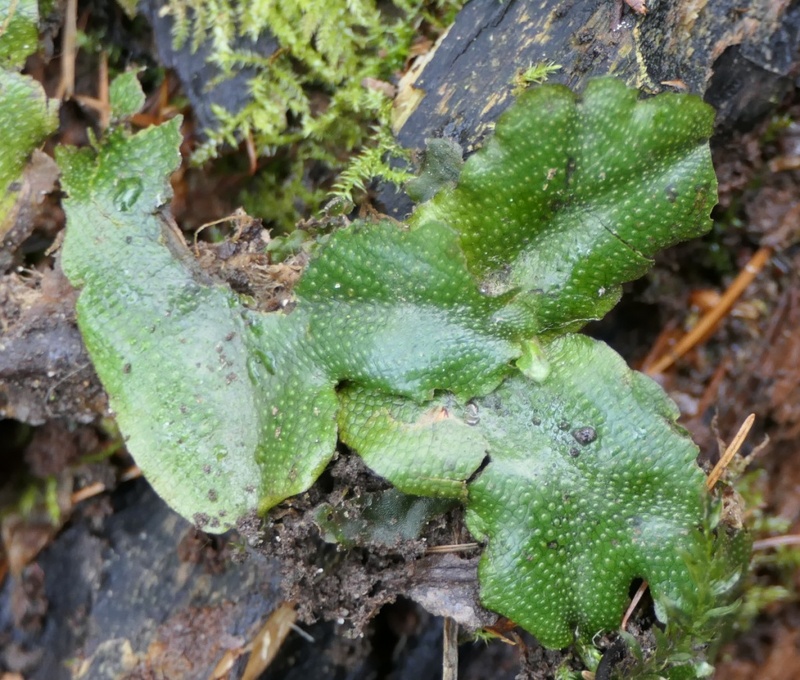 Great Scented Liverwort - Conocephalum conicum s.l. Forms large and conspicuous thalli to 17 mm wide, often in extensive mats. 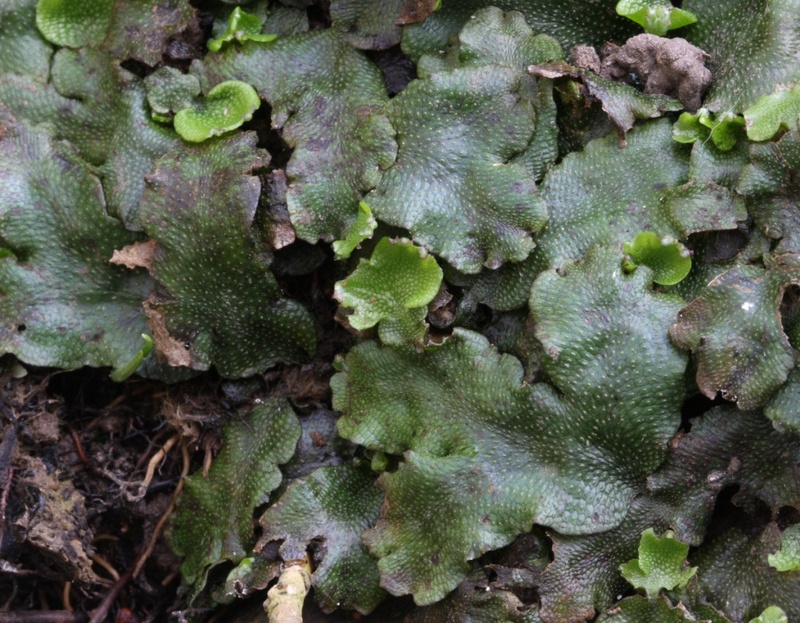 The flat, leathery thalli are dark green in colour, strongly aromatic and dichotomously branching, often with purplish margins. 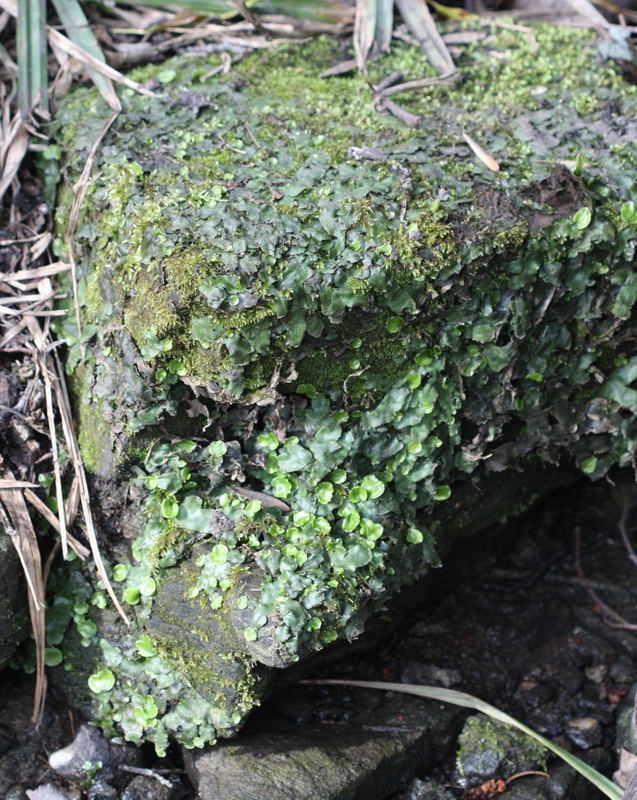 The smooth and shiny surface has a conspicuous but ungrooved network of lines. 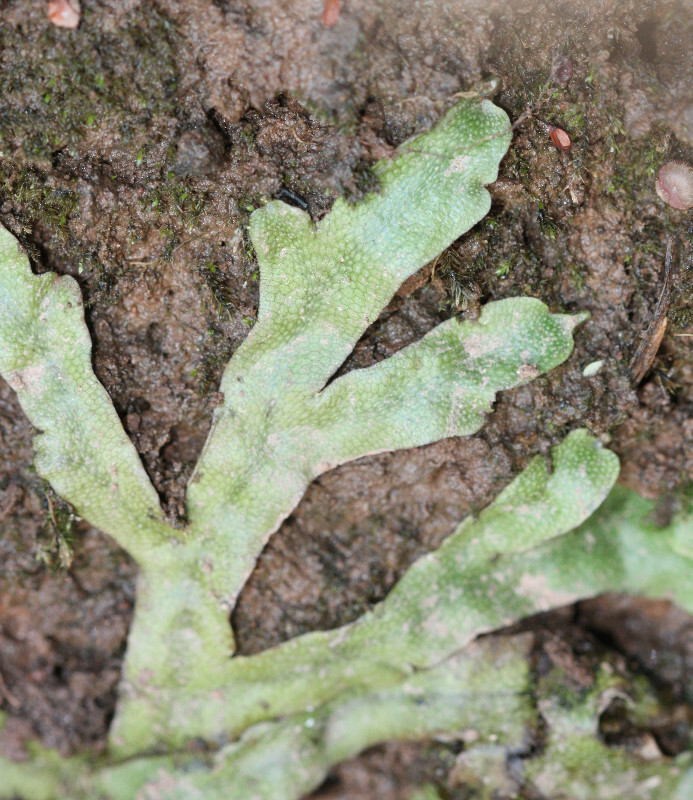 Its air pores are more conspicuous than the lines. 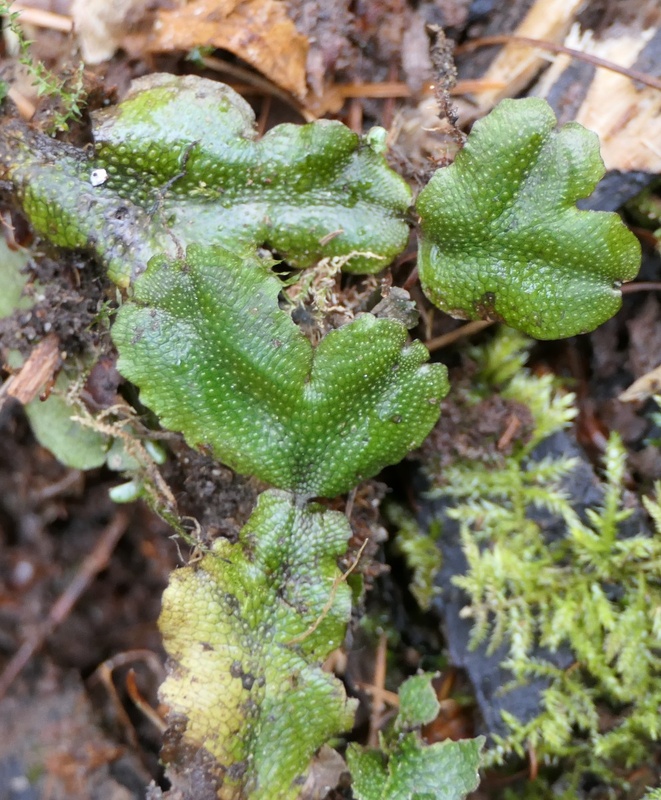 Male plants possess sessile, terminal cushions, whilst fruiting female plants have terminal, stalked, conical receptacles with short descending lobes. Prefers damp, shady, mildly base rich to neutral substrates, such as shady rocks by rivers, streams and waterfalls, but it can also grow on soil on damp banks and shady walls.